This line of fine Italian golf apparel was re-launched at the PGA Merchandise Show in 2011 by new owners and generated lots of attention. For 2012 the plan is to build even more recognition among in the high end country club and resort market plus opening an online store. in fiamme, Italian for “on fire,” has all of their shirts made by hand in Italy in small lots using 100% double-mercerized Egyptian cotton yarn. 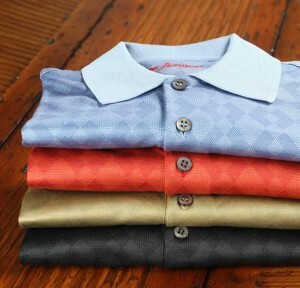 Distinctively each shirt has mother-of-pearl buttons and carries no brand logo or markings except for the in fiamme name embroidered on the inside of the collar. 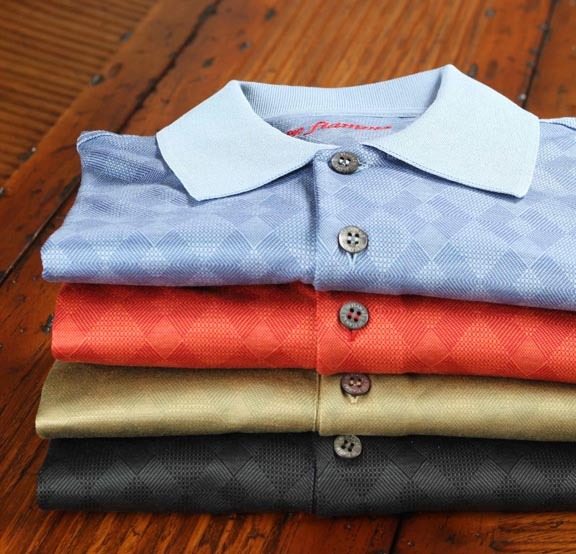 Recognizing the broad appeal of classic high quality golf shirts they have opened an online store on their web site – infiamme.net catering to those who want the look and feel of custom-made hand sewn shirts but do not live near a shop stocking their apparel. The in fiamme online store has a variety of designs, some of which may be different that those found in resort shops and golf-club shops, but pricing will generally be the same as in resorts and golf-club shops.